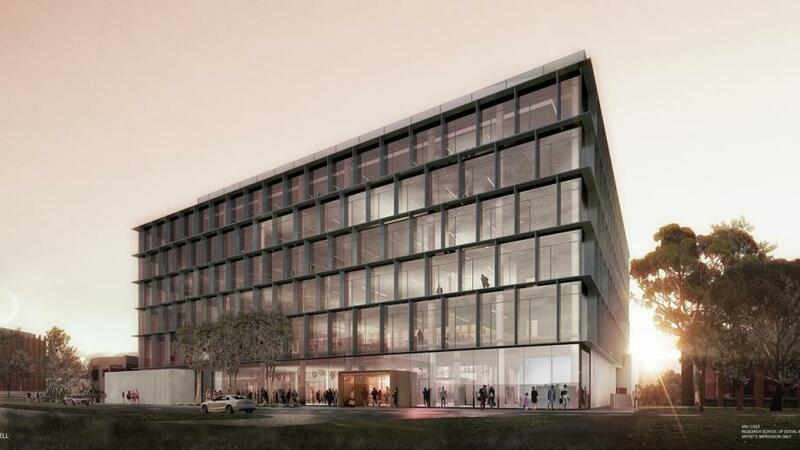 Approval to construct the new building was granted on 29 June 2018 and work on the site commenced the following week. The construction is scheduled to be completed by the end of 2019. Until then, Ellery Crescent has been reduced to a single lane with traffic lights in place. The Baldessin Precinct Parking Station is no longer accessible from Ellery Crescent (but remains accessible off Marcus Clarke Street), and level 5 of the station is reserved parking for the construction contractors. Concrete pouring commenced at the beginning of September and a crane will be on site by the end of September. The Department of the Environment & Energy (Heritage) provided an approval in May 2017 to proceed with the removal of the Pauline Griffin Building. 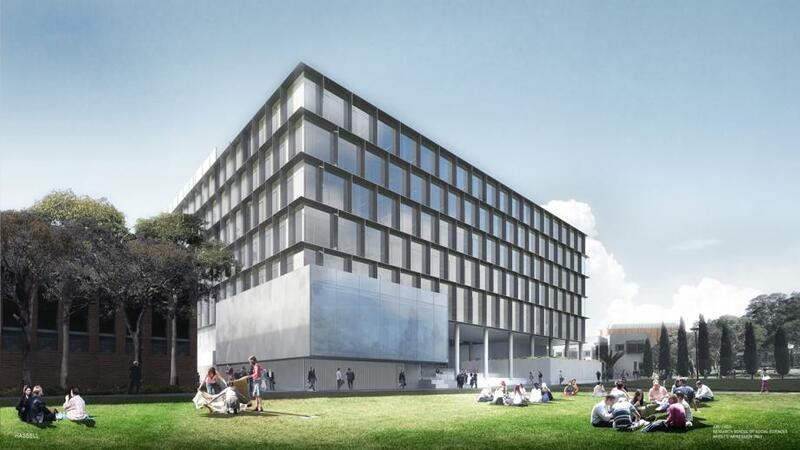 On 6 September the National Capital Authority provided an approval to the ANU for ‘early works’ which allows for the establishment of the site and demolition of the Pauline Griffin Building. This was completed in November 2017. Further updates are available here. 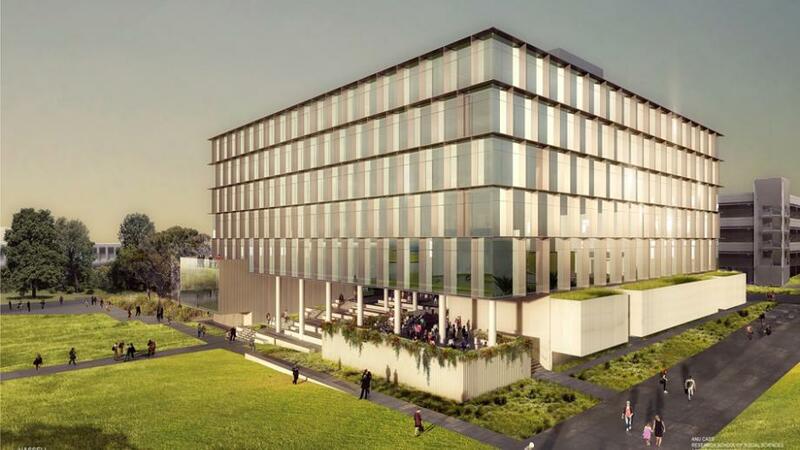 In June 2014 the Australian National University Council approved funding for a new building for the Research School of Social Sciences (RSSS) as part of its ongoing capital works investment in the campus. 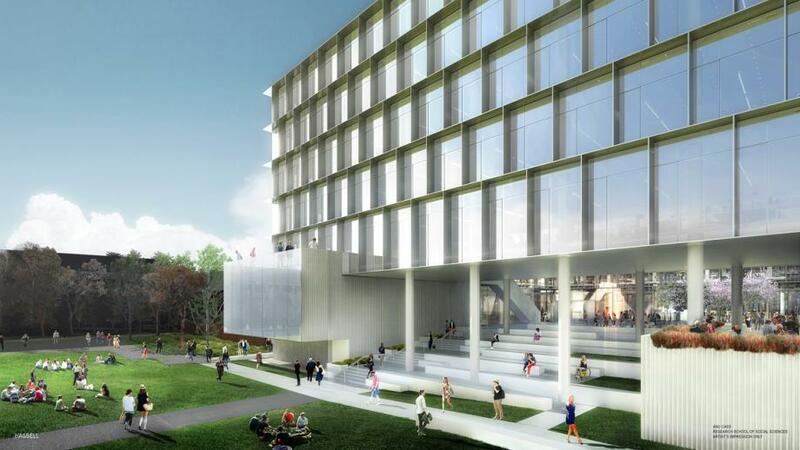 Our new home will provide over 700 staff, students and academic visitors with the room they need to teach, research and study, in a modern 11,700 sqm building. RSSS, as one of the founding research schools of the ANU, has a long history of being a leader in social science research both in Australia and overseas. We are a critical domestic and international institution for empirical and theoretical research, and our exceptional graduate research and training has long emphasised a multidisciplinary approach. The disciplinary schools within RSSS include: Demography, History, Philosophy, Politics & International Relations and Sociology, as well as the world-class Centre for Arab & Islamic Studies and the Centre for Aboriginal Economic Policy Research. During 2015 we engaged with our staff to come up with a functional design: what we all needed from our new space on campus, how we would be using it, and where we needed it to be to fit with our use of the campus facilities. Past and planned consultative sessions are listed online. This consultative process led to the selection of the current site of the Pauline Griffin Building, which unfortunately cannot be retained. The existing structure, finished in 1966 and home of the Student Union until 1972, is unable to be renovated to comply with modern building and workplace standards. There are also safety concerns about the significant amount of asbestos in the current building. The design is referenced in the new building's plans, which pay homage to not just the Pauline Griffin Building, but to the buildings of that style and generation which were popular on campus during a period of significant expansion for ANU. This site is located centrally in the campus, and in a prominent position on Ellery Crescent and emphasises the strong connections that RSSS is forging with our colleagues in the sciences: the Denis Winston Walk symbolically links this site with the Hancock Building and acts as a bridge between the Banks Precinct and the Baldessin Precinct. Here, in the heart of the campus, RSSS will be able to bring together students and researchers from across the globe and across a variety of disciplines, to better interpret our past and understand our future.